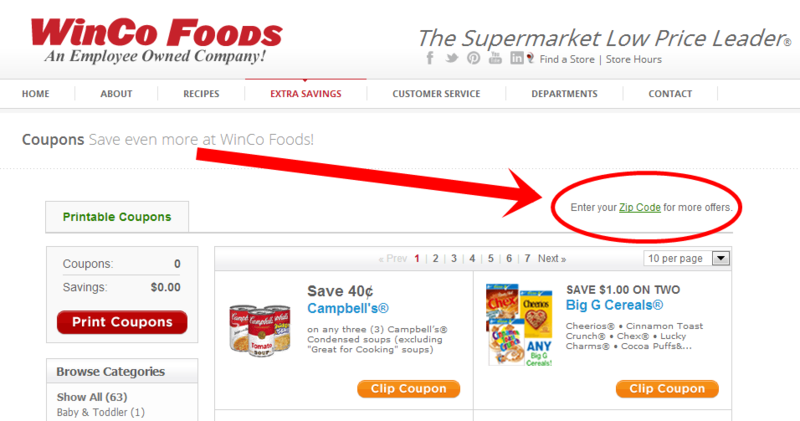 Winco is sending out another mailing of $10 off $50 purchase coupons to select areas again. Plus there are a limited number of printable coupons available on their website. Looks like this time us locals here in Tri-Cities WA are excluded, as well as Spokane and Medford Oregon, but all other WA and OR areas should be included. Single purchase of $50 or more required – excludes purchase of beer, wine, alcohol, milk, tobacco, US postage stamps, bus passes, lotto, money transfers, money orders, gift cards, gift certificates, refundable deposits or various sales tax. Limit 1 coupon per transaction. Not valid on prior purchase. To locate this coupon, click HERE and enter your zip code, then click local coupons on the left hand side. You should see the coupon then if its available in your area.